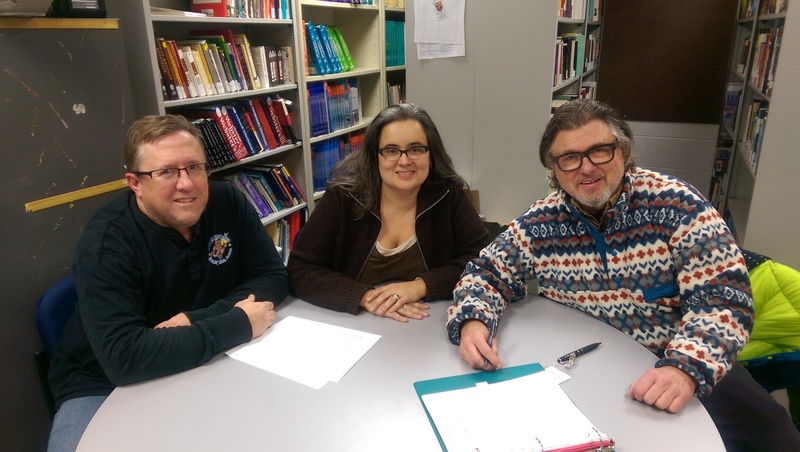 Poet Bob Holman arrived in Juneau, Alaska September 16, the first stop on a month-long tour of Alaska to raise awareness of the importance of language revitalization. When his trek across Alaska concluded October 18, Holman had visited Juneau, Kotzebue, Barrow, Arctic Village, Fort Yukon, Fairbanks, Homer, Kodiak and Anchorage. On his many stops he screened his documentary film “Language Matters.” The film was shot around the world, focusing on language revitalization efforts in Australia, Wales and Hawaii. 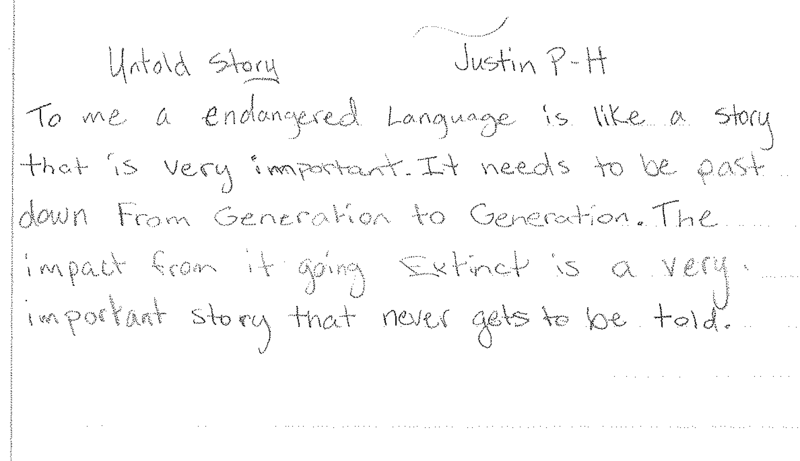 It is a moving and hopeful document of a familiar history among endangered languages. Screenings in the Interior were held in Arctic Village, Fort Yukon and at Schaible Auditorium at the University of Alaska Fairbanks (UAF) on October 1. 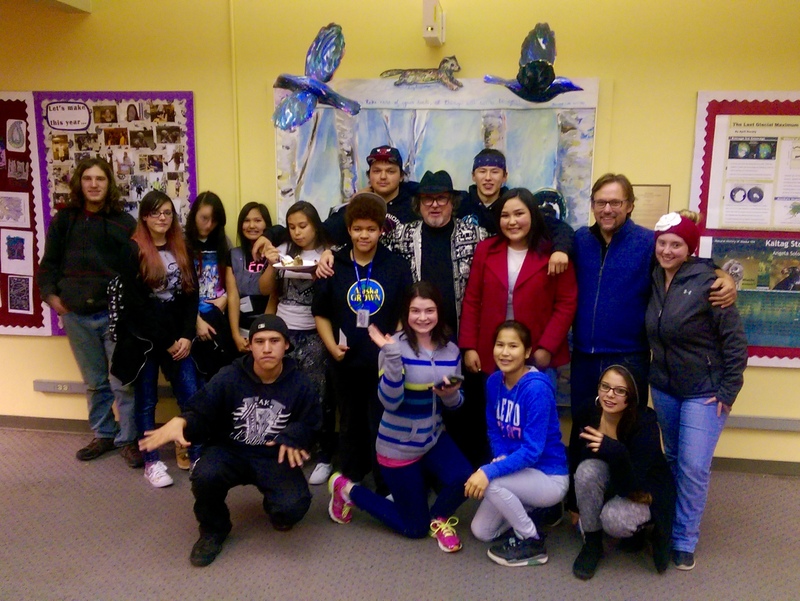 Doyon Foundation and the Alaska Native Language Center supported Holman’s visit to the Interior, where he also conducted poetry slam workshops and performances at Effie Kokrine Charter School and Golden Heart Academy at Fairbanks Youth Facility. 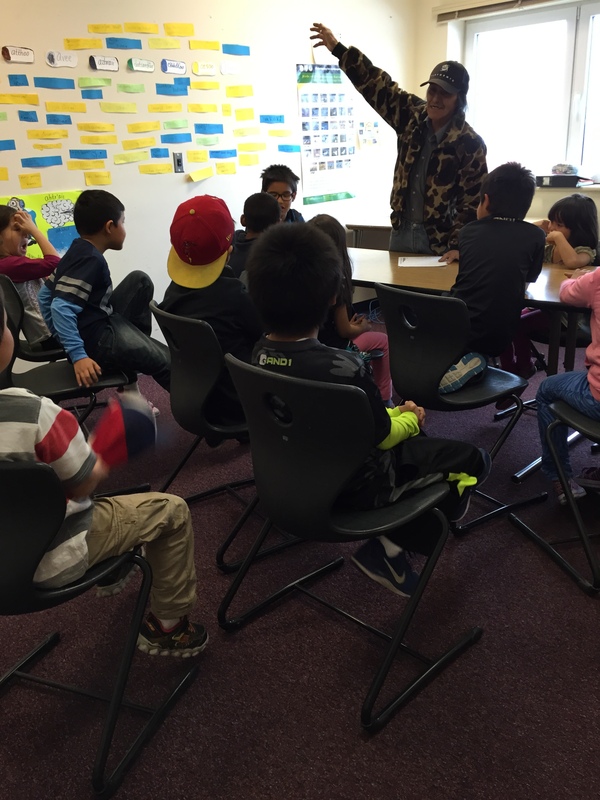 While in Fairbanks he visited Diiginjik K’yaa Ch’at’oh, a new Gwich’in language immersion nest for children begun by a group of parents wanting their children to speak their ancestral language. Holman also sat in with the Takudh Singers as they practiced to hold a Takudh Holy Communion service in Fort Yukon. Holman documented his journey around Alaska on Facebook, and posted podcasts, including one from Arctic Village. 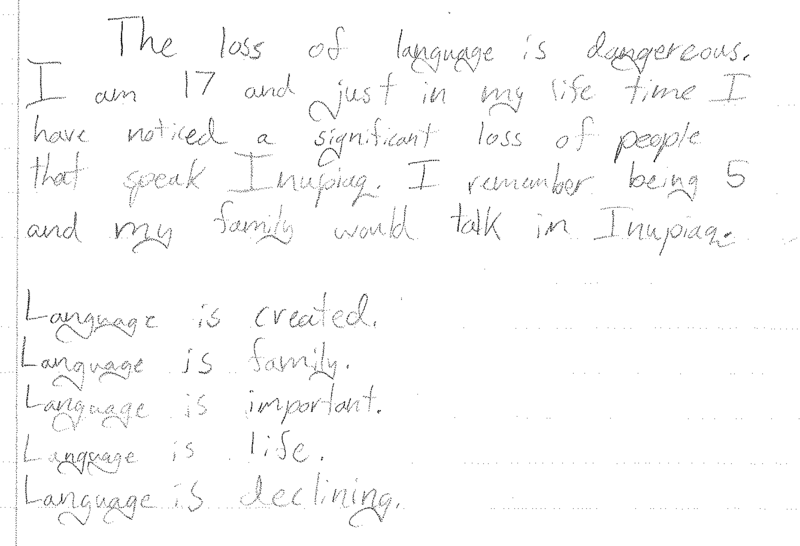 We hope that Holman will return in the near future to film a sequel of “Language Matters,” in which the story of Alaska Native language revitalization can be shared. Holman was especially impressed with the fact that all 20 Alaska Native languages, including Eyak (which no one currently speaks), have been made official languages of Alaska. The story of how this legislation was passed is as compelling a story as any from around the world, and it should be known by people far and wide. Poems composed by students of Golden Heart Academy at Fairbanks Youth Facility. almost in a straight line.